SDLC comprises various phases that are being carried out in a particular manner towards the direction of software development. However, each phase or the whole development process needs to adhere to the established standards and guidelines so as to maintain the quality of the development process & stages in order to achieve the software product of desired quality. 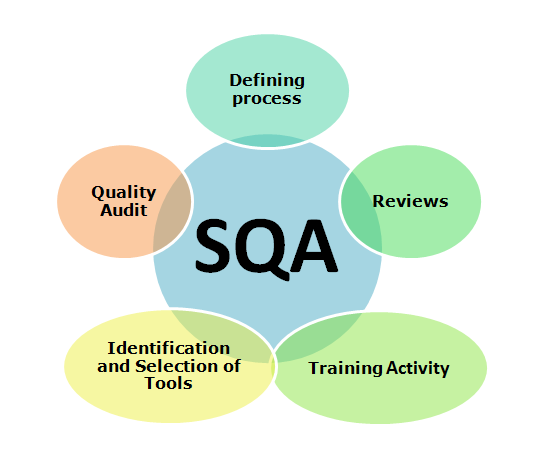 Abbreviated as SQA, Software Quality Assurance is a set of procedures that undertakes the task of monitoring, controlling and maintaining the quality of the development process. 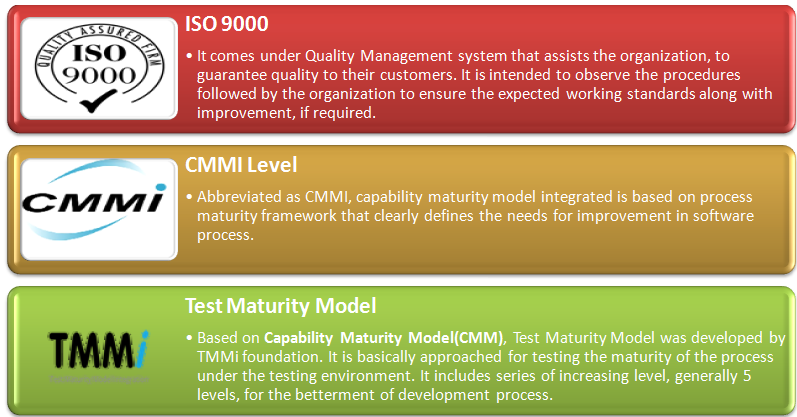 It is the process of monitoring the SDLC to ensure the quality of the processes or of different phases is in compliance to pre-defined or established standards for development such as ISO 9000 or CMMI model. QA is all about effective management of development phases in order to meet the needs of the end users in the developed software product. It is a parallel activity performed along with development to improve and increase the efficiency and effectiveness of the SDLC to meet the objective or goal of producing the quality product based on the specified requirements & specification. Software quality assurance includes software cost and benefits, and suggests the inclusion of software characteristics or quality attributes. These features are also known as software metrics, functional and non-functional requisites. 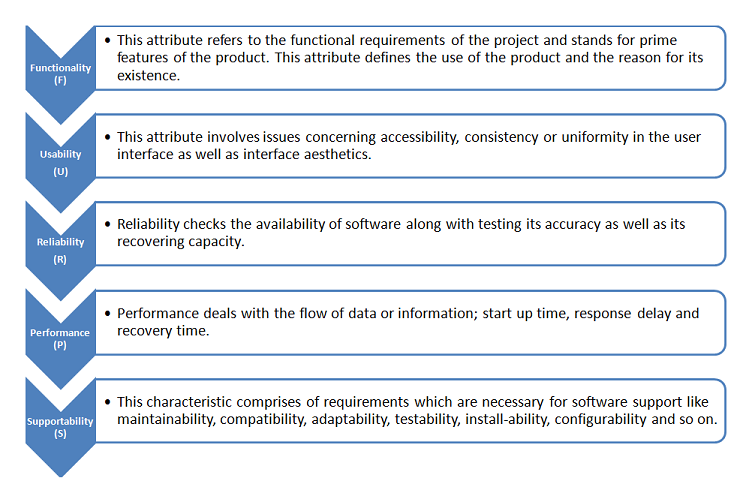 How to Evaluate Software Quality Attributes? Software quality assurance is tested by execution of the software and evaluation of attributes such as usability and functionality. On the other hand, the remaining attributes i.e. adaptability and reliability can be estimated through simulated execution of the software on different platforms. 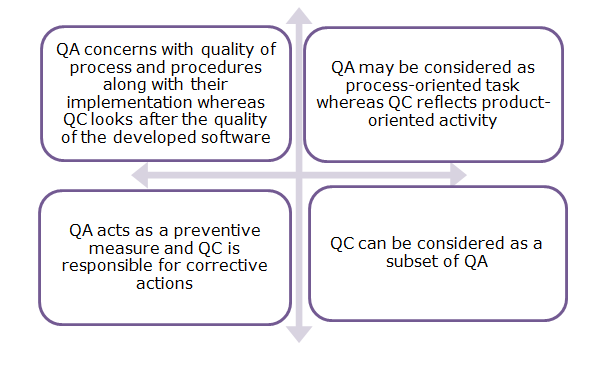 If Quality Assurance (QA) = Quality Control (QC)? The responsibility of the SQA team for any software is to supervise the actions of the software quality checking team. They look after the practice of specified processes and compliance to standards. The SQA team is also appointed with the task of evaluating the repairing time for defects and thus determines the usefulness of the software.